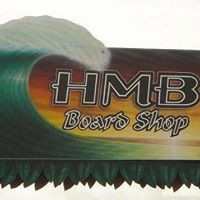 HMB Board Shop logo in a Jrs. Retro Heather Tee. 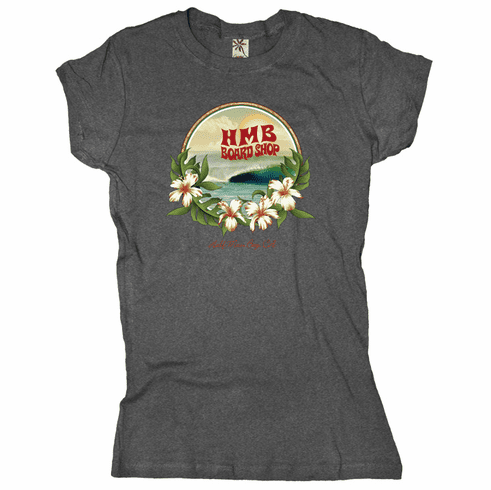 50/50 combed ring spun cotton/poly t-shirt with fashion longer body.